Any professional will be able to tell you the secret to being a great musician: practice, practice, and practice. I have found that each of these repetitions means a different thing. This is the most general of the three, and ironically the one least practiced by musicians. It is the hardest to accomplish well, I believe. You can hear your instrument everywhere, and you can use it to duplicate or mimic what you hear. For example, you listen to someone in high heels walking across a tile floor. How do you mimic that sound on a piano? You hear someone talking in another room – just the sounds not the words. Could a drum kit mimic enough of that sound to remind someone else of that person? Pretty soon you will discover that you don’t need to mimic sounds directly. We use cultural norms to make others think of these things, sounds that we automatically associate with certain types of actions. High heels on a tile floor might make you think of a movie scene where the elegant heroine has walked into the lobby of a fine hotel. On a piano you could softly play something you’d hear a background pianist playing to set the mood (a garden cafe nearby, quite formal), along with the plink, plink, plink of heels striking the hard floor (slow or fast depending on whether this is professional or personal). Since a footfall typically has two parts, you could also bump the piano with part of your hand to evoke the image of the front half of the shoe padding on the floor. Clearly it’s impossible to make a drum kit sound like a vocal, but most people speak in repeated rhythms, dynamics, and intervals that are unique to them. Drummers learn to listen to these things in great detail. Could it be any more awesome (Chandler, from Friends!)? A combination of toms and cymbals, maybe even the snare, can all combine to evoke a visual of your uncle talking during the big game. You don’t hear the words, but you know exactly who it is. This is art. Interpret the real as the sub-real using sound you create with an instrument. That is awesome. Here is where many musicians spend their time – learning and writing songs. In fact, the goal of the vast majority of musicians is to make a living performing and/or writing songs. Despite the complexities of music, the complexities of the music business, and the complexities of music theory, this is still where virtually all musicians want to be. Where practicing everything is kind of the top of the tower of skill, music is the whole rest of the castle’s living space. This is a very literal definition of practice. A future article will delve into this specific topic in much more detail, but the important points are these: listen to the song, understand the song, learn to play the song, then perform the song. Repeat. Another version of this type of practice is writing songs. 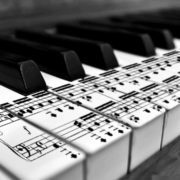 In this case, you are building the song from pieces and inspirations found in the surrounding practice levels (everything and patterns). As you develop an understanding of what you’re trying to say, you build and learn all the pieces, put them together, then perform the song. Repeat some more. This is art. Performing music that you have either created or interpreted with an instrument. That is awesome. These are the foundations of skill in any field. All of music is patterns, and every pattern can be expressed in some form by any instrument. Most musicians have a library of basic and complex patterns stored away in their minds. From your basic kick-hat-snare-hat rap pattern to the free-form jazz chromatics you’ll find in your neighbourhood vinyl shop, every musician has a mental catalogue of cool stuff they can play. The real trick is identifying those patterns and then practicing them in every iteration you can think of. As an example, let’s take a standard rock beat on drums with just quarter notes: kick + hat, hat, snare + hat, hat. This is a really basic pattern and forms the basis of a thousand other patterns, so it will pay to be super good at it. But it’s so simple, you probably just play it a few times and call it good. We can go deeper. Vary the dynamics of the pattern. In this case, keep the hat very soft while hitting the kick and snare very hard. Then switch to a loud hat and soft kick and soft snare. Now try a loud hat with soft kick and loud snare. Was that easy? Did you keep the hat at the same volume with each beat even though your kick and snare were at different volumes? On a guitar, you might try playing the intro to Rock And Roll by Led Zeppelin. Pretty basic, right? Now try to play it while keeping every single note the same volume. Then try to make the upstrokes louder. Tough, right? Even basic scales will help you in amazing ways. Play a G Major scale from high to low at the same volume, then low to high. Now do it with alternate picking. Now do it on a single string (if your guitar has 24 frets, or use 2 strings instead). Now play loud to soft, then soft to loud. Now downstrokes are soft and upstrokes are loud. Now faster. On drums, hit snare, T1, T2, T3 starting with the right hand and alternating for each drum, then T3 to snare starting with the left hand. Then loud snare and soft toms. Then loud T3 and soft everything else. Speed up. Slow down. Stomp your kick or hat on every beat or eighth. Play the pattern as triplets or sixteenths instead of eights or quarters. Doing things like this for several minutes every time you practice will give you incredible levels of skill at playing and improvising, and it will happen very quickly. 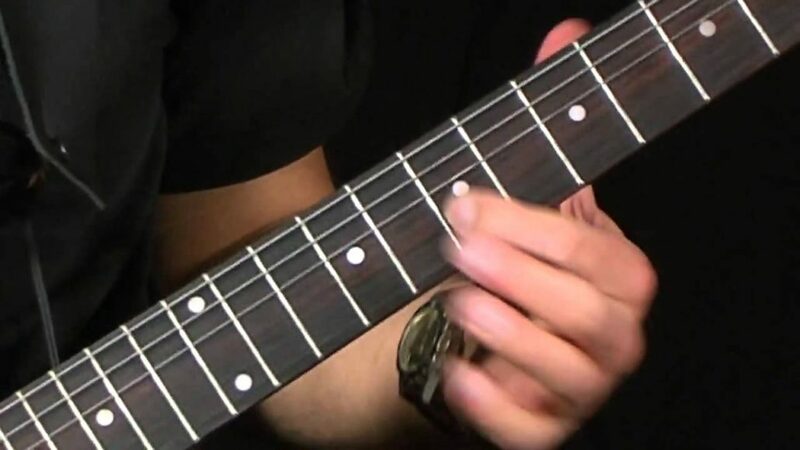 Repeating exercises like these improves muscle memory, and inventing harder and more interesting variations on these patterns helps improve your improvisational and creative skills. This is art. Absorbing the patterns you hear and invent so that you can use them later. That is awesome. Dealing With Stage Fright Welcome Back Skyliners!